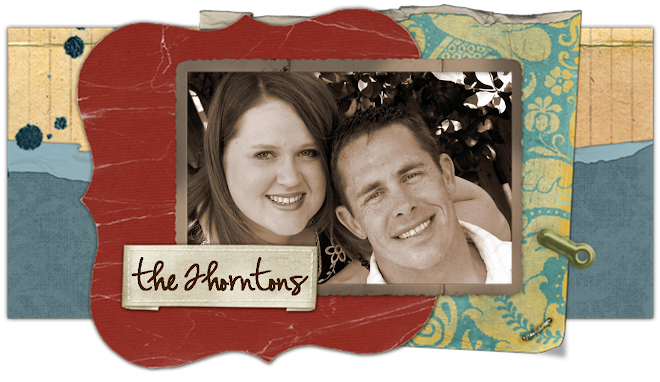 the thorntons: Time Flies When You're Having Fun?? Time Flies When You're Having Fun?? I don't know if it's all been FUN, but time sure has flown by since we left our house in North Carolina. It's all been such a blur, but I am finally feeling settled in here in Sugar Land. Here's the long and short of our past 2 months. After spending the night on the floor of our empty house, we drove for 2 days to Tyler to drop our trailer off, then went to Abilene, then went to Flower Mound, then back to Tyler to pick up our stuff because our apartment was ready. We drove down to Sugar Land...nervous the entire way because we had NO idea what to expect from our apartment. We had only seen pictures of it online, and it was pretty crazy to know that we had paid all of our deposits and we were STUCK with it...even if it was horrible. Luckily, it's not horrible. It's not perfect either, but we can definitely handle it for another 7 months. Getting used to apartment life again has been interesting. I miss my yard, and so do the dogs. I miss my garage (not that I parked in it or anything) but there just isn't any storage room here! I miss walking out to my mailbox every day. I guess that missing all these things will make me even more appreciative when we're back in a house again. Hopefully sooner than later. So, after quickly unpacking boxes for 3 days, we got back in the car to go to Molly and Peter's wedding. I wouldn't have missed it for the world! I was beyond excited that it worked out for Ryan and I to actually get to go to a wedding TOGETHER...that doesn't happen very often. But even more than that, I was completely psyched to see one of my best friends for the past 15 years marry the man of her dreams. As tired as I was from all the chaos of the past 2 weeks, I couldn't have been happier to be a part of her special day. It was all so beautiful! We came back to Sugar Land the next day and continued unpacking and doing what little Christmas shopping I found time for. We spent another 4 days at the apartment and then packed our bags for 2 weeks. Our first stop for Christmas was Abilene. We celebrated early to give Brad & Kendall time for last minute wedding details in Ft. Worth. It was so much fun to all be together. It makes me even more excited to think about Christmases with the "new" Joneses in the future. On Christmas Eve we drove to Flower Mound and spent Christmas with Ryan's family. Everyone spoiled us more than they should have of course! We spent the next couple of days relaxing, which was just what we needed. Then we switched over to "wedding mode"! When Brad & Kendall got engaged in Dec. 2005, they said that they would wait to get married until Ryan got back from Iraq. I don't know many people who would schedule their wedding plans around their brother-in-law, but it meant the world to us that they wanted Ryan to be a part of their wedding so much. So, when everyone was rushing around and trying to do Christmas AND wedding in one week, all we could do was blame it on Ryan! Everything about their wedding was so much fun. Even though I was a complete basketcase and could cry at the mention of the words "little brother", the weekend was pretty relaxing. It poured rain the day of the rehearsal dinner, but the weather cleared up perfectly for the big day. My new sister-in-law was absolutely stunning, and my little brother cleaned up pretty well too. I couldn't be happier for them. On New Year's Eve, we woke up and drove back to Sugar Land...hopefully for the LAST time for awhile! Ryan started the Ocean Corporation on January 2nd and is really enjoying it. I haven't ever seen him be such a good student before, so he must really love what he's studying! I've spent the past 2 weeks job hunting...something I'm finding out that I don't enjoy too much. A few promising things have popped up, but nothing final yet. Ryan on the other hand just got hired at Deep Marine Technology, Inc. This will be a great job for him to get his foot in the door in the dive industry, so I'm really proud of him! So, here we are...FINALLY Texans again, and FINALLY caught up on our blog. This teaches me a lesson to NEVER get this far behind again!! I can't wait to hear from you. You aren't that far :) It is crazy to think your brother is MARRIED!! Everyone is growing up.....too fast :) Hope you are getting settled in and are loving the Houston area. Hope to hear from you soon.